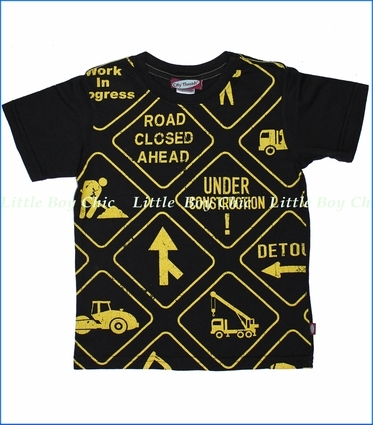 Combining boys favorites - construction and big trucks with cool road signs. Interior neck tape helps hold its shape. Woven label on side seam.